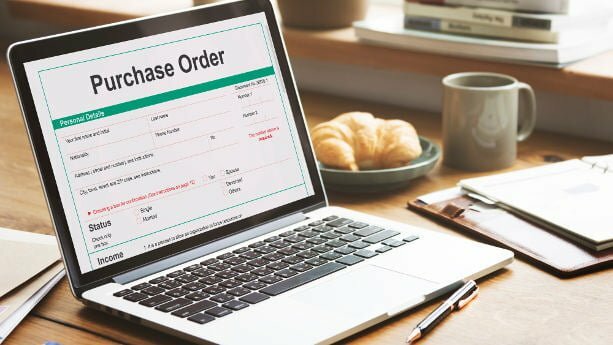 What is a Purchase Order and Proforma Invoice? Importers issue Purchase Orders (PO) as a formal procedure to state their intention to buy certain products, according to the terms specified in the PO. The supplier should then counter by issuing a Proforma Invoice (PI), stating their intention to sell the products to you according to the terms stated in the PI. While this may sound like an outdated formality, understanding the Purchase Order and Proforma Invoice issuing process can help avoid severe misunderstandings – leading to quality issues, receiving the wrong product or delays. What do I need to include in my Purchase Order? How do I submit the purchase order to the factory? Do I need to submit a Purchase Order before each production run? Why do I need a Proforma Invoice from the factory? What kind of information should the Proforma Invoice include? How do I avoid payment fraud? What is the difference between a Proforma Invoice and a Commercial Invoice? Can I use the Proforma Invoice as proof of importation value? When do I need a purchase order? 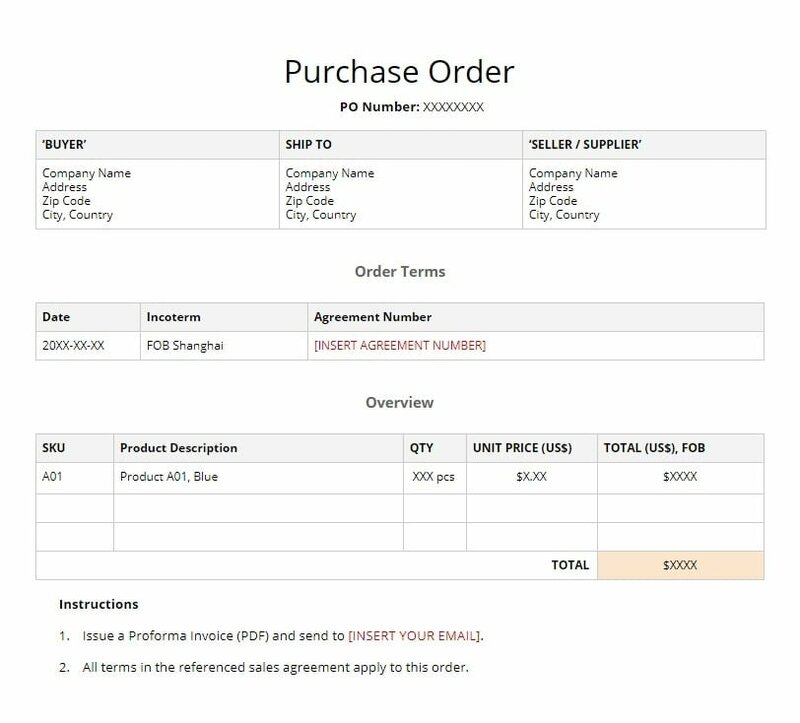 A Purchase Order (PO) is a commercial document issued by the buyer to the supplier, for example, a Chinese manufacturer, when placing a new order. When your supplier requests you to ‘send your PO’, this is what they’re referring to. A Purchase Order must include the product name, colors, materials and quantity. You should also include any references to product specifications, design drawings or material documentation related to that product. You can also include the expected unit price. However, notice that the price is not final until the supplier has issued their Proforma Invoice. I still think it’s good practice to set prices, as a way to signal to the supplier that you will not accept large price increases. You can submit your Purchase Order as a PDF attachment in an email. You don’t necessarily need to send a signed hardcopy to the factory. The Purchase Order is a formality, that many importers don’t really bother with. It’s perfectly fine to send your supplier an email requesting them to issue a new invoice, without attaching a Purchase Order. That said, it’s convenient to submit a document including all relevant product information, delivery terms, and buyer details. The proforma invoice is a preliminary invoice issued by the supplier, as a response to them receiving your purchase order. As the prices are not confirmed by you at this stage, it’s called a proforma invoice – which is subject to adjustments in terms or pricing and quantity. Once you accept the Proforma Invoice, the supplier should issue the true invoice. That said, many manufacturers simply refer to the Proforma Invoice as the final invoice. 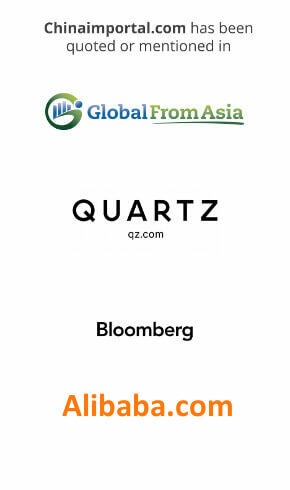 Manufacturers in China, and elsewhere in Asia, tend to refer to the Proforma Invoice as a PI. What kind of information should it include? How do I avoid payment scams? You must compare the bank account beneficiary details specified in the Proforma Invoice, to the supplier details, to make sure that it’s matching the actual supplier name. Is the seller name not matching the supplier name? Is the bank account beneficiary not matching the supplier name? 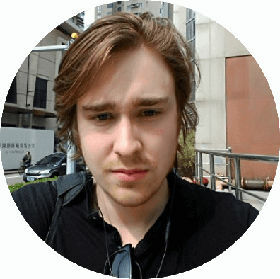 Is the bank account located offshore (e.g. BVI) or outside of the suppliers country? If the answer to any of the above is ‘Yes’, then you should not wire the funds to the supplier. 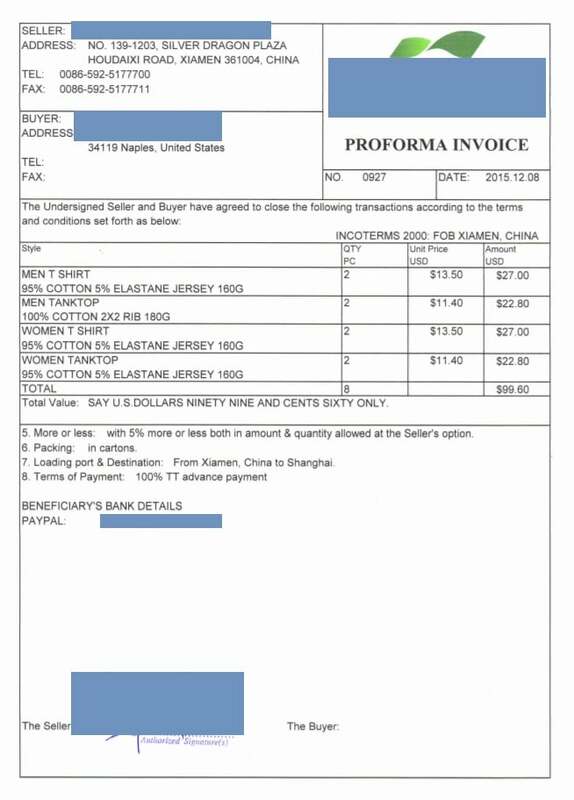 The Proforma Invoice is a document demonstrating the supplier’s commitment to sell products for a certain price, under the terms specified. There are often several changes to the terms (e.g. Incoterms), quantity and price during the order negotiation – leading to the supplier issuing several versions of the Proforma Invoice before the deposit is paid. Hence, the Proforma Invoice is not a legal document. The Commercial Invoice, on the other hand, is an actual legal document stating the final amount received by the supplier. 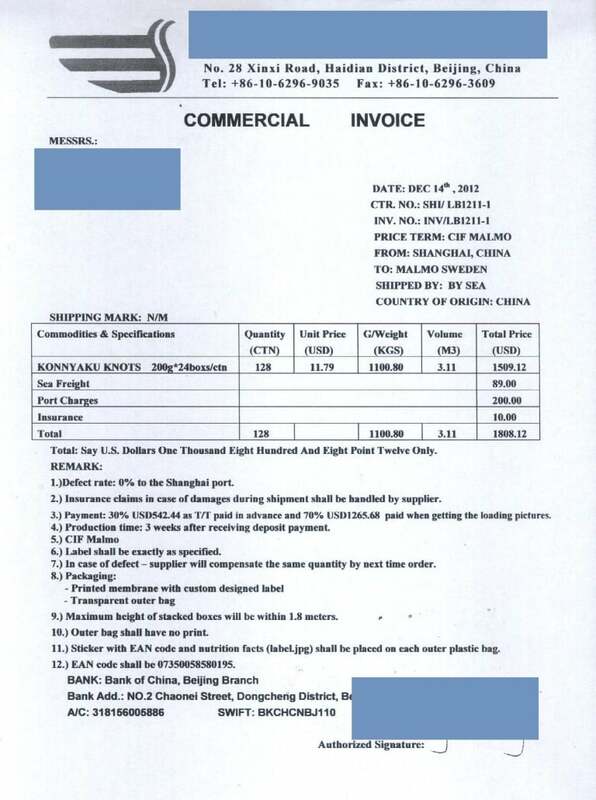 Unlike the Proforma Invoice, which is only digital, the commercial invoice is also printed and stamped by the supplier. You can generally not use the Proforma Invoice as proof of the customs value. Instead, the supplier must issue a commercial invoice hard copy, with their company stamp. This document is sent by your supplier directly to your freight forwarder, which will then use the commercial invoice as proof of the customs value. That said, the customs may accept a proforma invoice as a substitute in case a commercial invoice is not available. But, they may also request transaction records or bank statements supporting the stated value. If a commercial invoice is not filed or available at the time the merchandise is entered, a statement in the form of an invoice (pro forma invoice) must be filed by the importer at the time of entry. The pro forma invoice must contain information adequate for examining the merchandise and determining the duties; Invoice requirements are found in 19 CFR 141.86.